Richard S. "Rich" Schweinfurth, 62, of Sandusky, passed away unexpectedly early Friday afternoon, November 30, 2018, at MetroHealth Medical Center, in Cleveland, OH. Born on May 25, 1956, in Sandusky, OH, the son of Robert Scott and Betty Jane (Gruhlke) Schweinfurth. 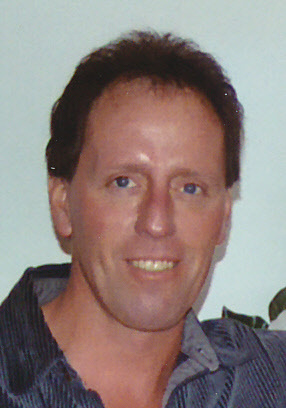 Rich was a 1975 graduate of Sandusky High School where he had excelled in football and golf at the Varsity level. He had worked at Delphi (a Division of General Motors) for over 30 years, retiring in 2006. After retiring, Rich had worked at P.P.G., in Huron, OH, for a short time. Over the years, Rich had been an avid fan of the Cleveland Indians, the Cleveland Browns, the Cavaliers and The Ohio State Buckeyes. In the past, when his son, Matthew, was involved in many youth sports activities (football, baseball, soccer, etc.) he had helped coach the teams. What he truly enjoyed doing was his yard work, being out boating (time on the sand bar), going on vacations and the sunshine, he was always sporting a nice tan. While playing in one of the Scott Boissoneault Golf outings, he received an award for the "Longest Drive." Rich will be fondly remembered as a beach bum, sun, surf and suds. He is survived by his wife of 39 years, Terri M. (Lewis) Schweinfurth, whom he married on November 17, 1979; his son, Matthew S. Schweinfurth; a sister, Barbara (Bill) Deming; and a sister-in-law, Bonnie Schweinfurth, all of Sandusky; his two aunts, Evelyn Noak of Indianapolis, IN and Donna Gruhlke of Sandusky; his other sister-in-laws, Patricia (Bob) Kearney, Gloria (Jerry) Taylor, Debbie (Les) Aker, Sandy (Chuck) Robertson and Karen (Charlie) Appeman; three godchildren; nieces and nephews; his puppy, Lucky; and his best friends. Rich was preceded in death by his parents; two brothers, David and Donald Schweinfurth; his maternal and paternal grandparents; his in-laws, Nelson and Amy Lewis; and his best friend, his dog, Izzy. It was Rich's wish to be cremated. The family will receive friends on Thursday afternoon, December 6, 2018, from 3 pm until time of his "Celebration of Life" service at 6 pm at the David F. Koch Funeral and Cremation Services, 520 Columbus Avenue, Sandusky, OH. Rev. Jerald A. Fenske officiating. The family suggests that memorial contributions may be made in his memory to one's favorite charity. Your memories and words of comfort may be shared with Rich's family at davidfkoch.com. We celebrate in laughter and tears as he walks the beach alone. Until we meet again!